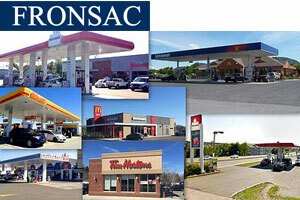 Montreal-based Fronsac Real Estate Investment Trust (GAZ.UN-X) has added five Quebec retail properties to its portfolio after a subsidiary acquired the Soginci Inc. management company for $7.1 million. “It’s really a good deal in terms of locations and in terms of the quality of the lessees,” said Fronsac president and chief executive officer Michel Lassonde. Four of the properties are side-by-side in what Lassonde called “a prime spot” alongside Highway 20 in St-Julie, about 20 kilometres from Montreal on the south shore of the St. Lawrence River. The other is about 15 kilometres from there in St-Mathieu-de-Beloeil, on that same highway that connects Montreal and Quebec City. All of the properties are occupied and comprise a total of approximately 222,000 square feet. Tenants have erected buildings themselves on four of the properties and ownership of them will transfer to Soginci Inc. at the end of medium to long-term leases. The St-Julie properties include a truck stop and gas station operated by Suncor as well as Boston Pizza and A&W restaurants. Other large chains like McDonald’s and Tim Hortons have outlets in the same area. The St-Mathieu-de-Beloeil location is occupied by a Suncor-operated gas station and convenience store. The acquisitions were paid for in cash and give Fronsac 17 properties valued at approximately $30 million. A $4.5-million mortgage was obtained to help finance the purchase and Lassonde said the $450,000 in new net rental revenues generated from the five properties will give the four-year-old REIT close to $2 million in net operating income for the year. The properties are perfectly suited to Fronsac’s mandate of acquiring and owning properties located on frequently travelled routes and occupied by fast food and convenience store chains as well as major oil and gas companies. It seeks out strong tenants under long-term, management-free and net leases.